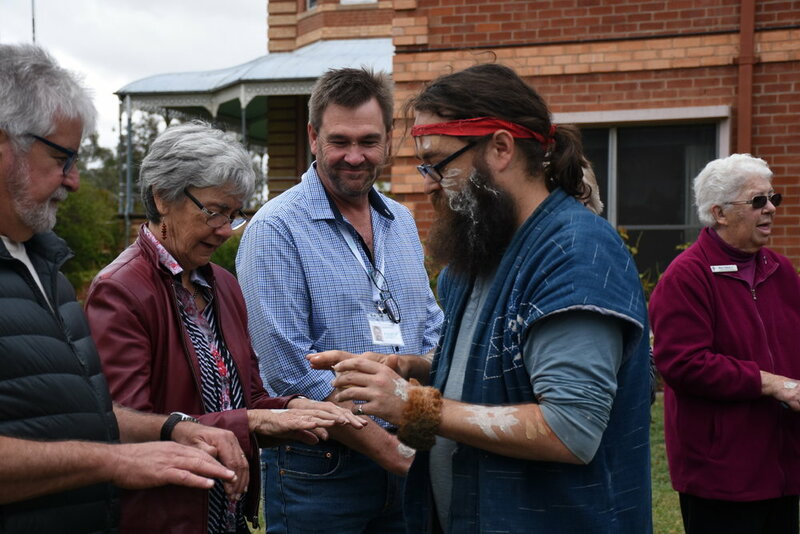 Rahamim Ecology Centre held the inaugural Mercy Earth Symposium on Friday 4 May in Bathurst NSW. The theme of the Symposium, ‘“Firing our hearts anew with a deeper reverence for all creation”, was taken from the 2017 Chapter Statement of the Institute of the Sisters of Mercy of Australia and Papua New Guinea (ISMAPNG), and reflected the aims of the symposium: to bring together representatives from across ISMAPNG to reflect on and share their experience of care for our common home to date, to renew their commitment to this important work, and to build relationships with like-minded colleagues to support them in that work into the future. The day started with an enthusiastic group of early-rising participants sharing the Body Prayer with Sally Neaves, Rahamim’s Eco-education Coordinator, as the sun rose over the Blue Mountains. After a locally sourced breakfast of house-made muesli, fresh bread and preserves, Rahamim’s Sustainability Educator, Jen Ringbauer, led participants on a tour of the grounds, and shared with them the story of the extraordinary urban water management system which has been integral to Rahamim’s care of Earth, allowing biodiversity to flourish on what was once a degraded granite hillside – an example of what might be possible on other ISMAPNG properties. 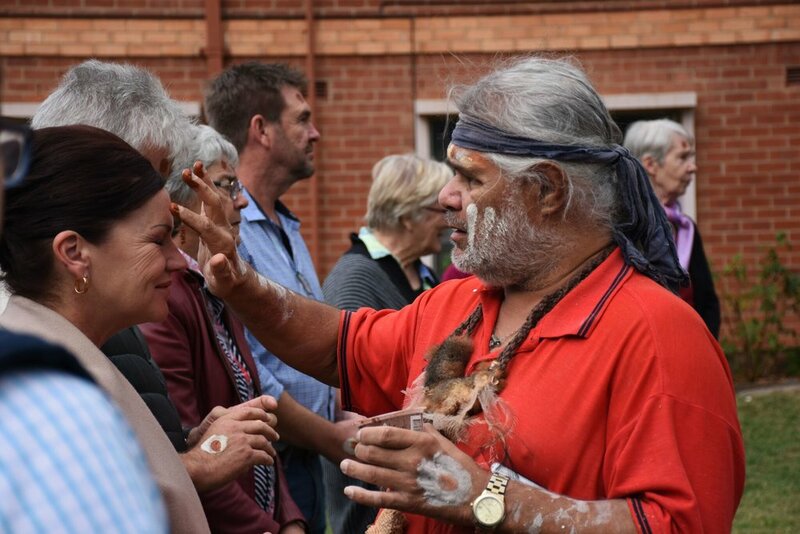 The formalities began with local Aboriginal Elders, Dinawan Dyirribang and Yanhadarrambal, holding a Welcome to Country and traditional Smoking Ceremony. The Symposium was then opened by Caroline Ryan and Elizabeth Moloney of the Institute Leadership Team, who provided an overview of ISMAPNG direction on care of Earth following the release of the Sustainability Policy in 2016. They were followed by Chris Hill, ISMAPNG’s Environmental Sustainability Manager, who provided an insight into the projects that he has been working on to promote care of Earth across ISMAPNG, particularly the solar energy project. 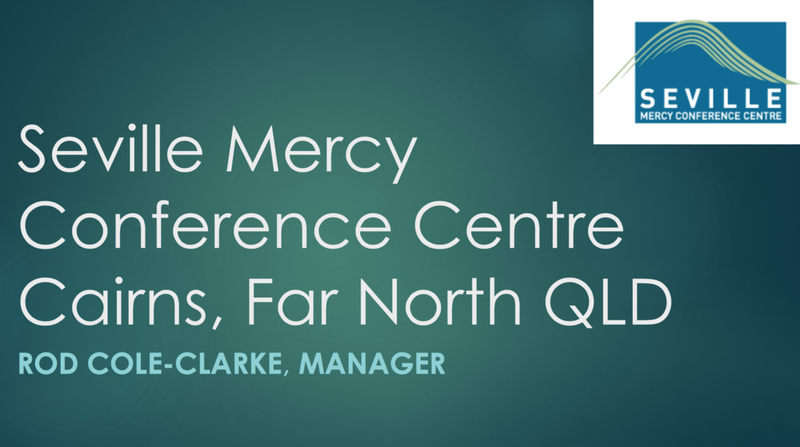 There were eight presentations showcasing the work of sustainability and spirituality in their own Ministries; Patricia Powell rsm, rsm Kate Conley, Damien Lacey from Mercy Connect, rsm Mary Tinney rsm, Ann Marie O’Beirne rsm, Ailsa McKinnon from Mercy Works, and Deb Carter from Fraynework. Two other presentations were provided by Rod Cole-Clarke from Seville Conference Centre and Regina Camilleri rsm, who regretted that they were unable to attend in person. 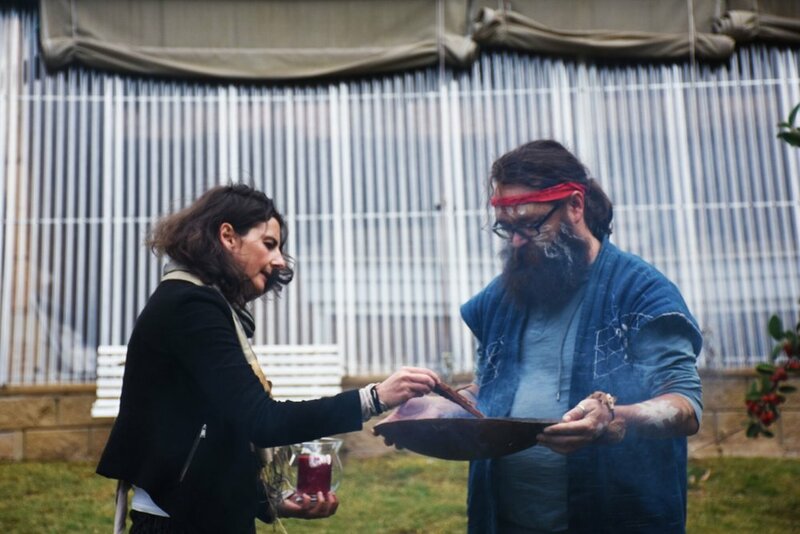 Attendees enjoyed the opportunity to network over an organic, vegetarian long lunch, prepared using fresh seasonal ingredients grown locally (including in the grounds of Rahamim itself). The final session of the Symposium was facilitated by Marg Endicott rsm and Hedy Bryant, Directors of the Board of Rahamim, who invited participants to discuss the essential takeaway messages, along with making commitments to actions and strategies for the future. The closing ritual, prepared by Pat Long, Sally Neaves, Ann-Marie O’Beirne rsm, Ana Freeman and Patricia Powell rsm took place outside in the autumn sunshine before participants dispersed to return to their homes and ministries in Queensland, Victoria, South Australia and across New South Wales. 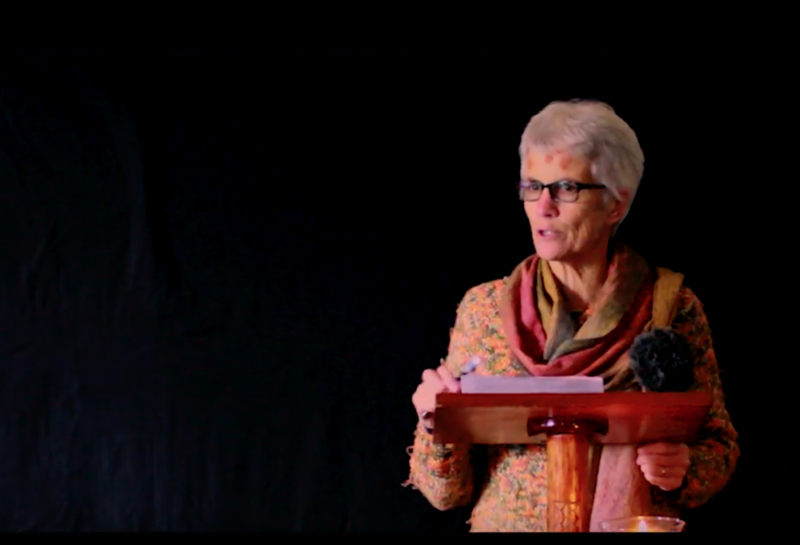 Sr Caroline Ryan rsm speaks of her experiences connecting with Anima, her pet name for a sea turtle. 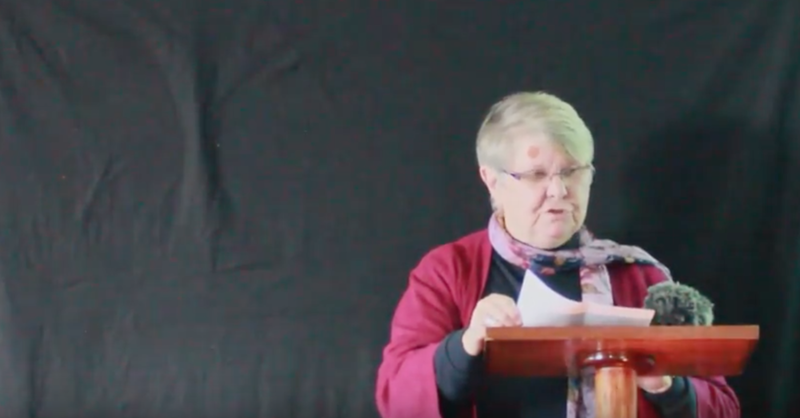 Sr Elizabeth Moloney rsm speaks about her childhood and living life on the land at Mercy Earth Symposium 2018. Chris Hill speaks about his role as the sustainability officer at Mercy Earth Symposium 2018. Sr Patricia Powell rsm talks about mercy and compassion in our lives and at Rahamim. 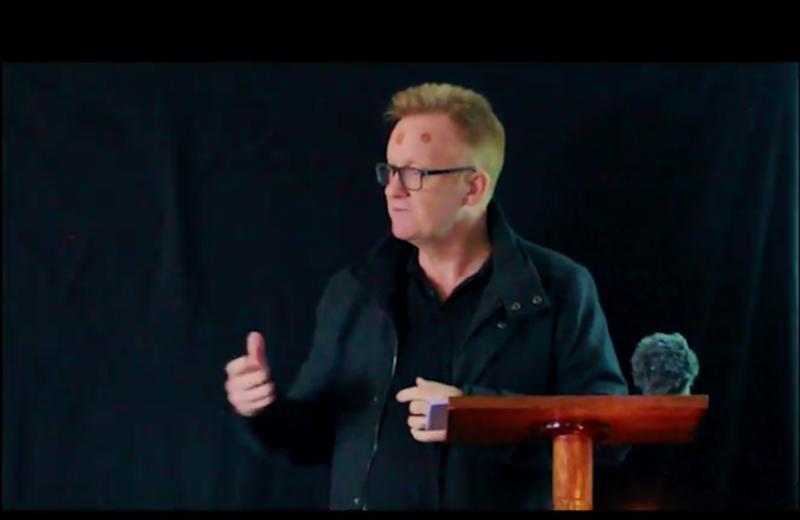 Damian Lacey speaks about his personal life and also the 'Down to Earth' project at the Mercy Earth Symposium 2018. Sr Mary Tinney rsm - Coming soon! Sr Ann Maree O'Beirne rsm delivers a talk titled "Graced encounters of an ecological kind: Exploring an Ignatian motif". Sr Ailsa McKinnon rsm - Coming soon! Deb Carter discusses how Frayne Work is reducing their carbon footprint and moving to being a more sustainable office environment.